Who has the greediest kingdom? In Greedy Kingdoms, you and an opponent compete in a test of wits. Can you bluff past them to collect the most resources and build two royal palaces first, or will the opponent outthink your plans and stop you at each turn? Deploy your heroes to attack and defend, collect resources, and upgrade your kingdom all while working towards the coveted royal palaces so that all the other kingdoms stand in awe of your gree...wealth! 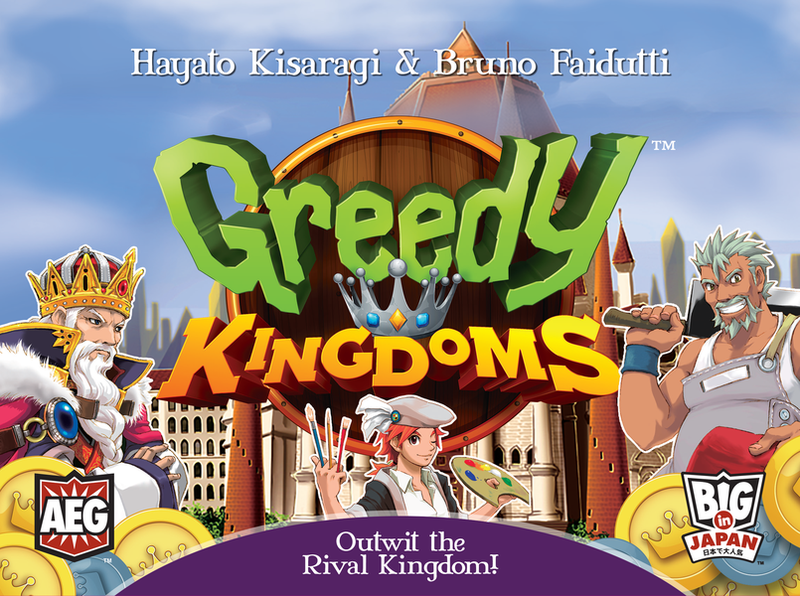 The 2018 version of Greedy Kingdoms reimplements the original 2009 release from Hayato Kisaragi and One Draw with new cards and rules from Bruno Faidutti.